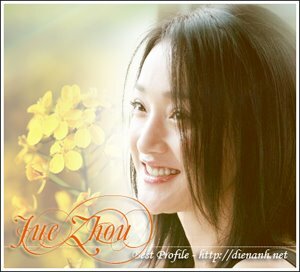 Zhou Xun: Sina.com awards: The actress of year ! Sina.com awards: The actress of year ! The saturated awards season has begun with the coming of New Year. And famous online portal Sina.com has also joined in to award their best of the year. Celebrities from media, business and, of course, the entertainment industry attended the grand ceremony held last night in Beijing. Organized by Sina.com, the “Internet Grand Award” is closely related to the internet and the cyber media. Not only are the award winners largely decided by netizens’ votes; but also many of the awards are internet exclusive. Zhou Xun was in the grand ceremony! Another article in cctv.com ! China's top website Sina has announced the awards for this year's most popular entertainers, with winners chosen via Internet polling. The star-studded gala was held on Tuesday at Beijing's Century Theater. Pop idol Andy Lau was the biggest winner, snatching the ceremony's most coveted awards: "Best Male Singer" and "Best Actor". The prizes are a testimony to his popularity among internet users old and young. Super Girls Li Yuchun and Zhang Liangying walked away with the Most Popular Newcomer honours. Zhou Xun scooped "Best Actress Award" for her role in the New Year musical "Perhaps Love", while the "Best Female Singer" went to Hong Kong's Joey Yung. A special award was unusually won by a fictitious character who goes by the name of "Cell Phone Xiao Qiang". Xiao Qiang often greets mobile phone users with funny words or songs, instead of the monotonous rings we generally expect to hear when making calls. Xiao Qiang is voiced by a team of people, many of whom are staff members working at the Internet Cell Phone Ring station. This is the second year that Sina has presented awards to its favourite entertainers. Happy Lunar New Year ! Runaway NaNa - 2005 ! Love Happens - Takeshi Kaneshiro ! The Banquet hold a banquet ! Zhou Xun's short break ! Stills of The Banquet ! News Updated on The Banquet!